France Cycling Tours - Training for France . . .
We've been training in earnest for our upcoming trip to the Pyrenees in France, and this weekend was no exception. 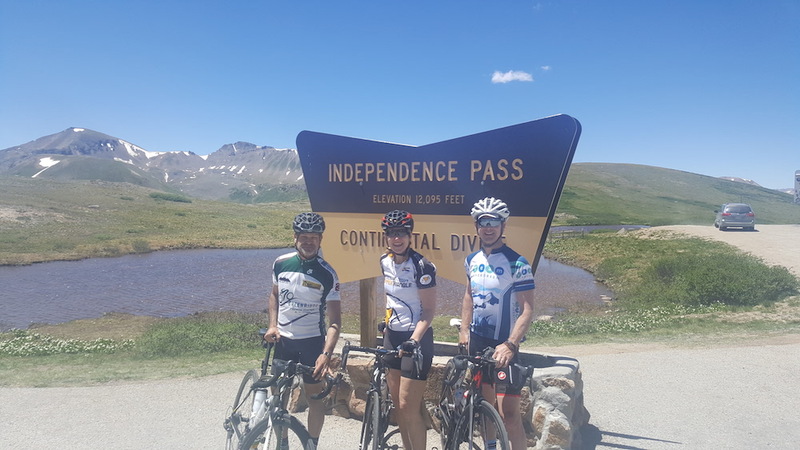 Friday Matt and I rode from Leadville, Colorado (elev. 10,152 feet) to the summit of Independence Pass (elev. 12,095 feet), about 40 miles away. Val drove about half way and then ascended 17 miles from the little town of Twin Lakes. 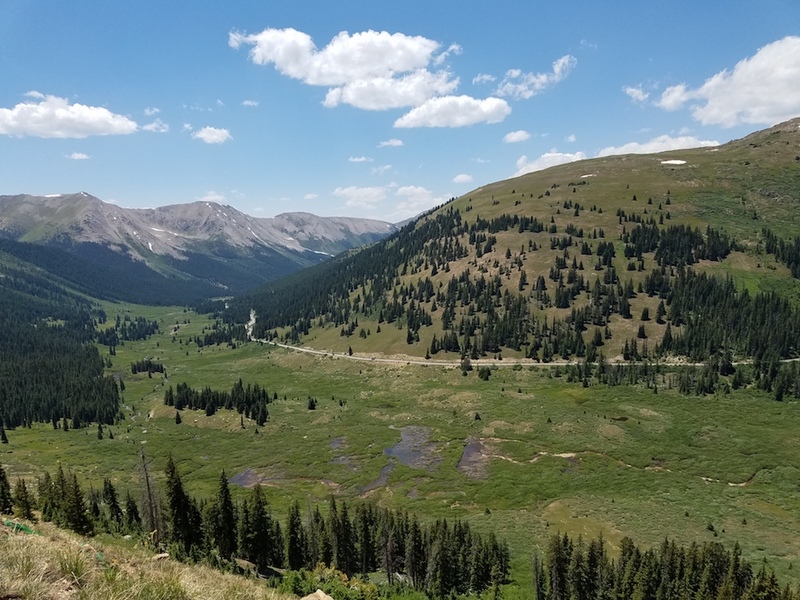 We all met at the summit - which may be one of the most beautiful passes in the U.S. From there we descended back to Twin Lakes; in total we rode 58 miles and climbed nearly 3,500 vertical feet. Saturday Val and I we rode up the other side of Independence Pass from Aspen, climbing 4,250 vertical feet in just under 19 miles. The Aspen side starts in an aspen forest and follows a beautiful river until it opens up in a large meadow near the summit. Here is a photo of Matt, Val and me at the summit of Independence Pass on Friday. Here's the road on the Aspen side as it snakes its way up the valley towards the summit. PS. 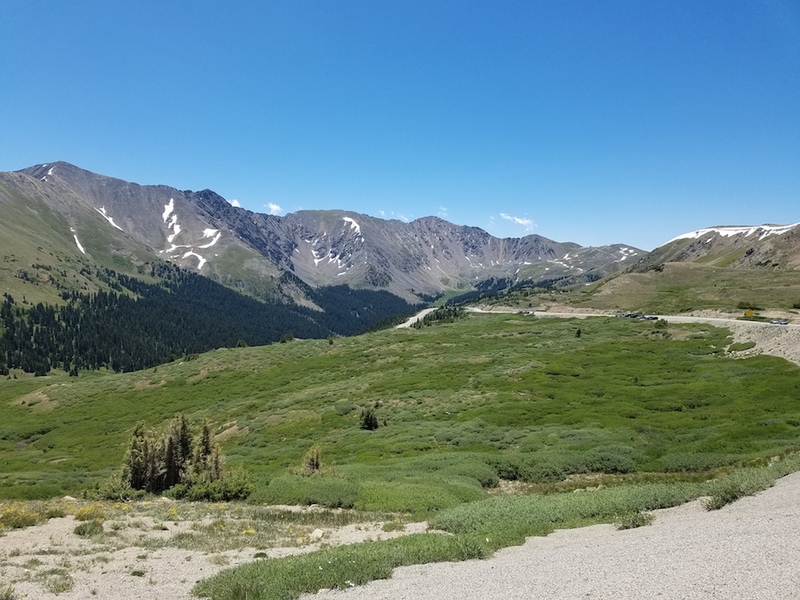 On Sunday I rode another 12,000-foot pass, this time Loveland Pass from the Beckenridge side (the west). In just under 20 miles I climbed 4,250 vertical feet to another beautiful Colorado mountain pass. Here's a photo of the road up from the Beckenridge side.